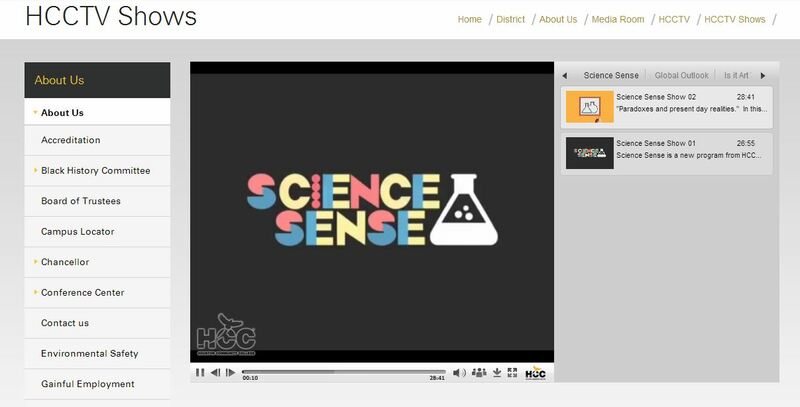 Check out episodes of “Science Sense,” a television show from HCCS which helps explain the news in you world through science! It puts science concepts from the news into context, making them more relatable to you. Use the link below, then navigate to the Science Sense tab and select your episode of choice.